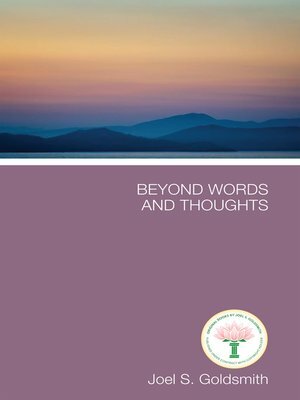 Beyond Words and Thoughts sets forth the way that leads to this transition to the mystical consciousness. It shows the seeker how to leave the maze and confusion of words and thoughts and enter into the mystical Silence from which all that IS proceeds. In that stillness and Silence, we can hear "the still small voice" and discover the deepest secrets of life. There the earth of problems melts, and the light of Spirit dawns. This is a book for those who want that one great Experience, which externalizes as a fulfilled life.